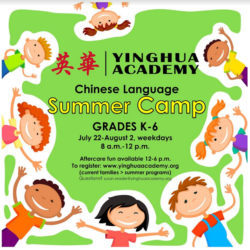 Yinghua Academy is the only full immersion Mandarin Chinese K-8 school in Minneapolis. It opened in 2006 as the first public charter Chinese immersion school in the U.S. and the first Chinese immersion school in the Midwest. Yinghua continues to be a national leader, offering an international perspective and outstanding results. 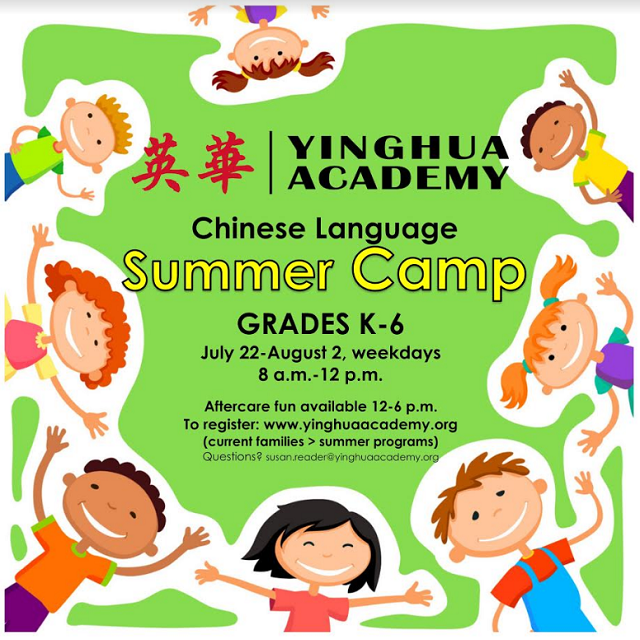 Yinghua will offer a Chinese immersion camp July 22-August 2, 2019. The total immersion setting provides opportunities for students to learn Chinese and skills in a relaxed, fun, “hands-on” camp environment. Contact susan.reader@yinghuaacademy.org. Click here for the 2019-20 enrollment lottery and wait list results: 2019-2020 Enrollment Lottery 03082019.